The ultimate tee packed with the ultimate fabric performance. This tee is constructed to keep you cool, dry and odor-free all day at work, the gym or in any setting. Extremely soft and lightweight performance fabric that feels like a second skin. Optimized for comfort through a long shift, running up your favorite trail or taking a break after work. Excellent quality, durable shirt for long shifts. Perfect for wearing under scrubs or even out. Waist – Your natural waist falls halfway between your bottom ribs and your hip bones. Measure at the smallest point between those two points, allowing 1/4” of slack using measuring tape. To be honest this shirt was my last choice for something to purchase from Medelita... I received a gift card from family, but as an incoming surgery resident I will be wearing hospital issued OR scrubs and already have a good stethoscope from medical school. Since Medelita doesn't carry compression socks, which is what I would have bought, I decided to go with these shirts and WOW. They fit perfectly, are super comfy, made of synthetics so they won't shrink, are super breathable, and importantly don't have annoying branding. 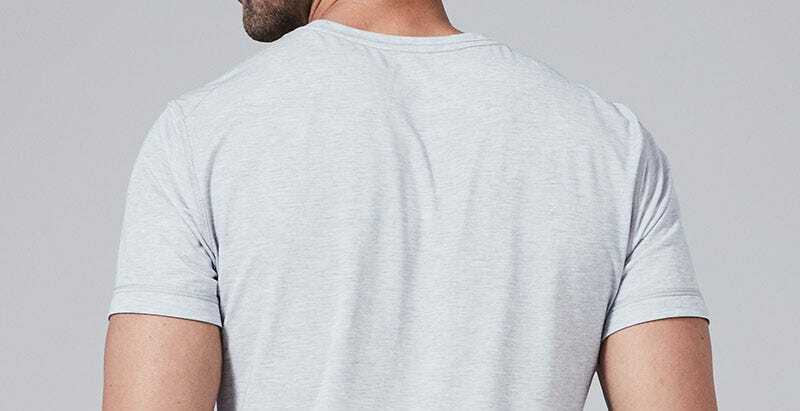 These will function perfectly as an undershirt or wearing alone. Definitely pleased and will be ordering again the future! I don't usually write reviews but felt compelled in this case! Nice fabric, for, detailing. Looks great on! The product was as advertised, just a bit overpriced in my opinion for such a thin shirt. The return process was very easy. Thanks for your feedback, Robert! We're sorry that the shirt did not meet your expectations. Our primary goal with this fabric was to create an underscrub shirt that was as light and form-fitting as possible, as if it was another layer of skin. The thinness of the shirt as a result is by design - and is truly innovative given the built-in performance fabric features. If you compare our prices to some of the larger performance fabric based mainstream brands out there doing similar things, we feel this is a highly competitive price level and offers a great deal of value. I hope this helps to communicate the value to future purchasers. Incredibly comfortable and soft. Doesn't catch on anything ! Soft, comfortable, looks nice. Enjoy wearing the shirt. Fits well under scrubs..keeps me cool/comfortable all day long! Q: Why do you have a picture of the long-sleeved underscrub but there seems no place to order such a garment ?